Everybody loves a good moisturizing session from top to toe, it not only feels good but its great for our skin too, keeping it firm and smooth. I’m a little...addicted shall we say to body butters and moisturizers! As I body brush daily, following this up with a top to toe moisturizer is a must! Mr.Man got me a huge strawberry gift set from The Body Shop (who doesn’t love them in any form when they're in season?) And with the sun shining and Wimbledon on the TV, it seemed like the perfect time to break out the strawberry body butter and lather myself up! A 200ml tub will set you back £13 but they have had a ton of 40% events in The Body Shop lately so be on the lookout to grab a bargain! The body butter is a thick, rich and creamy, perfect for normal to dry skin, or skin that’s seen a little too much sun and needs some extra TLC. The body butter is more like a thick, whipped cream and a little goes a long way. It takes an age to dry into the skin and if your in a rush you do find yourself fanning down and doing the 'fake tan' dance to get it to dry in quicker! Not ideal when you’ve hit the snooze button one too many times! 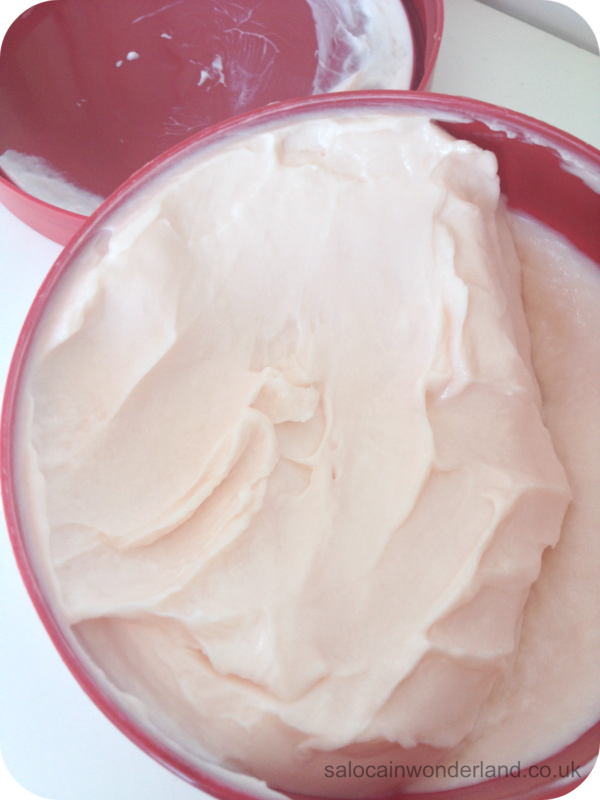 Now, here’s what I usually love about Body Shop body butters...the fragrance. They're always so heavily scented that you rarely need to wear perfume. 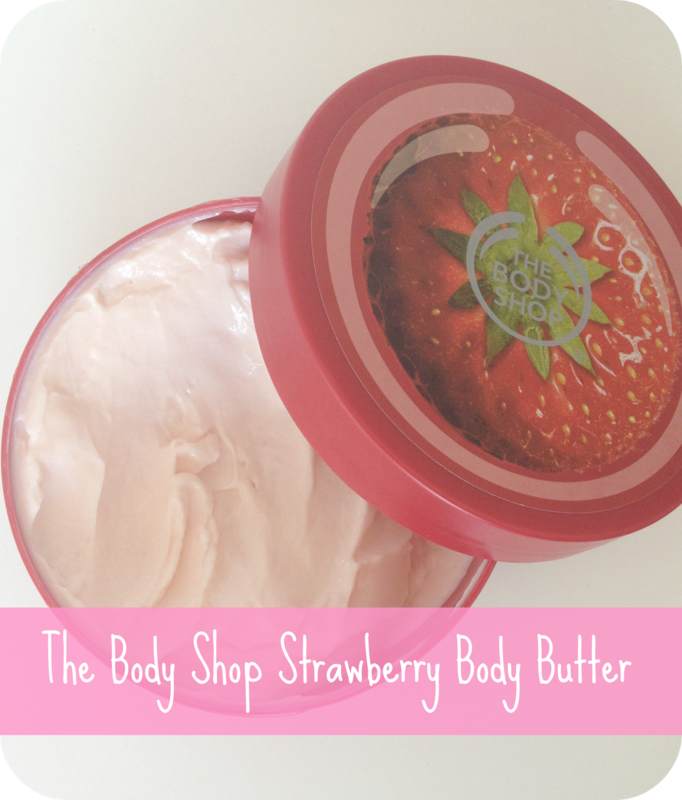 The scent for the strawberry body butter is no different. It’s so strong, it reminds me of strawberry flavored Chewits (bonus points if you remember those!). Now, I just happen to love this kind of scent but it was so overpowering that it boarded on being sickly. The scent will linger on your skin all day too, which would be great...if I wasn’t working in a boiling hot laboratory cooking inside my own lab coat! The scent mixed with general unavoidable body odors just doesn’t work for me. It doesn’t smell bad, but it made me extremely self conscious. Funky smells aside, my skin felt silky soft and practically glowed with nourishment...but then I noticed the rash. At first I thought it could have been the heat but, as you do when you get a rash, I stopped using any and all products and it cleared up in a few days. About a week later, I re-introduced the body butter and the rash came back. It was only on my stomach too, strange! All in all a luxuriously creamy body butter with a heavy strawberry scent that is a pleasure to use...on colder days...avoiding my stomach. Oh well, we can't all have the same positive experience. I have continued using this, but only on my legs as a post shave balm and it's kept them silky smooth! Have you tried any of The Body Shops body butters? Let me know in the comments below! I'm proper rubbish at using stuff like this, even if I had it I wouldn't use it. I'm terrible haha. I hate things that don't try straight away! It bugs me that it doesn't dry in super fast, I don't always have the time to dance around and get it to dry! It's great if you've got the time to lounge around and be all naked and moist, but who has time for that?! If only it was edible!